New York, 1879: An epic blizzard descends on Albany, devastating the city. When the snow finally settles, two newly orphaned girls are missing. Determined not to give up hope, Dr. Mary Sutter, a former Civil War surgeon, searches for the two sisters. When what happened to them is finally revealed, Dr. Sutter must fight the most powerful of Albany's citizens, risking personal and public danger as she seeks to protect the fragile, putting at risk loves and lives in her quest to right unimaginable wrongs. 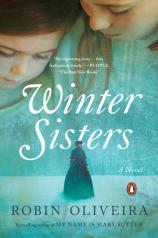 As contemporary as it is historic, WINTER SISTERS is part gripping thriller, part family saga, and ultimately a story of trauma and resilience that explores the tremendous good and unspeakable evil of which humans are capable.